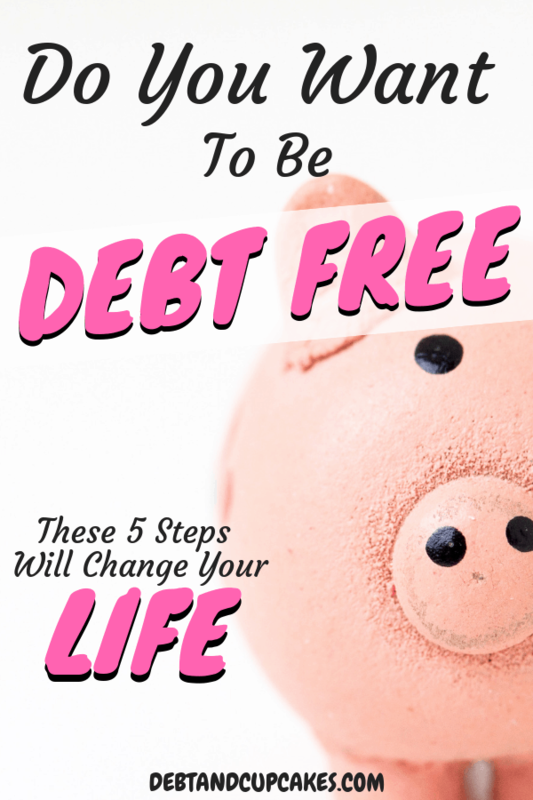 The cold hard truth is that to become debt-free, it’s going to require life changes… There’s no way around it. Our habits and life decisions created debt and we had to change those habits in order to become debt-free. The good news is, it’s really not that hard to change, if you want it bad enough. Most people know exactly how much money they make annually but, few know how much they spend! To become debt-free we had to actually face our debt. Sit down and add up ALL of your consumer debt. Using a debt tracking spreadsheet made our lives SO much easier. This awesome tracker will do all of the hard work for you and also show you some incredible information about your debt. Totally free! Acknowledging the problem is really the first… and most important step towards life changes. Add it up, and don’t be embarrassed!! 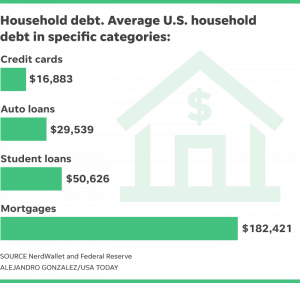 The vast majority of American households are in debt and you’re now making the decision to become debt-free! Good for you! To achieve debt-freedom you have to have a plan, and that plan starts with a budget! This one was fun for me. I’m a numbers nerd and I dove into budgeting head first. My poor wife… she was obviously supportive but, I was ALL IN. We started with the Every Dollar App and slowly transitioned to an excel workbook I created. Budgeting created a sense of control over our finances. Once we established our budget, we actually had MORE money than we ever thought! One of the biggest benefits of budgeting is finding extra money to throw at debt! 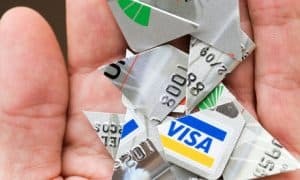 Canceling our credit cards was pivotal in our debt-free journey. My wife and I had 5+ credit cards open in our name… Why?! Who needs 5 different ways to get into debt?? Apparently, we did… For years we would pay off a credit card and then run the balance back up. We each had one big credit card. Old Navy for her and Cabela’s for me. Once we paid off the 7k+ in debt, we shut the cards down, for good! For us, credit cards were just an easy way to rationalize a stupid purchase. Close the cards and use cash, and I guarantee you will spend less money!! I’ve been learning A LOT about travel hacking and once we hit our F.I number, I think we’ll explore this. If you live alone, skip this step… If you are married or living with a partner, this step is wildly important for your debt-free journey. This step is by far the most difficult step. Talk to your partner. 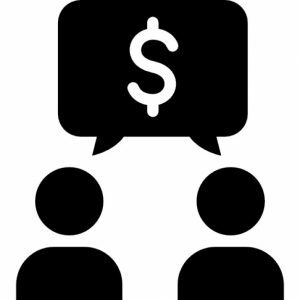 Tell them how much debt you have, tell them what you’d like to buy, talk about your mistakes, sit down and just talk about money! Don’t let money become taboo in your life. Financial problems are a leading cause of divorce and I simply love my wife too much to become part of that statistic. If you’re serious about becoming debt-free, you have to be open and honest with yourself and your partner. An amazing side-effect of our debt-free journey was the improvement in our marriage! I’m not to proud to admit it, but this was hard for me… I really needed to grow up. Realizing that just because I wanted something, it didn’t warrant just slapping it on my Cabela’s card and “worrying about it later”. Separating want from need wasn’t hard to do on paper but, it was hard to do in my little pea-sized brain. Sure, my wife and I work hard and we make great money… and we rationalized every stupid purchase with that very thought. That is a childish, short-termed vision. To become debt-free we had to look at the long term picture and postpone gratification. As Dave Ramsey says, “Adults devise a plan and stick to it, children do what feels good”. I’m here to say, becoming debt-free feels better than any purchase I’ve ever made… It took us four years to get here, but… man oh man… it’s worth it! What changes will you make to get out of debt? Let me know in the comments!! (1) it can repay your debt faster. By making debt repayment a game, it adds a bit more excitement beyond just reaching the end goal. It lets you enjoy the ride in between. The way to play is by evaluating the discretionary purchases you’re making and constantly ask yourself if purchasing these items will make you happier than contributing this amount toward your debt. Certainly some purchases will make you happier than contributing extra money towards your debt and are necessary for your sanity. But it also might be useful when you come to the check out aisle and realize a third of your shopping cart is impulse purchases that you don’t really need. Still have the dinners with your significant other (or finding one! ), get together with friends and family, and even have a pet if all these items are very high priorities. (2) It causes you to recognize that not all of your spending is necessary. 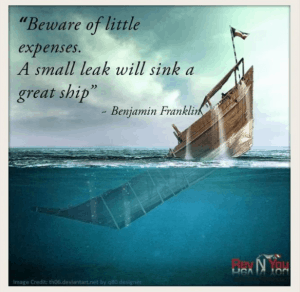 This game forces you to take notice of what your expenses are and makes you evaluate whether the purchases make you happier than repaying your debt. Looking at it this way provides a benchmark to compare against which you have established as producing satisfaction (not having debt). You should look at every discretionary purchase decision in this light and always try to maximize your happiness. You’re 100% right! I love the idea of making it a game because, it really is! Also, that certainly adds a level of enjoyment to what can be a tedious process at times. I really appreciate you reading and commenting!! Great information! I too followed Dave’s plan and had to learn to be an adult when it came to my finances, especially since I’m a single parent. After using the debt snowball method, although the debt avalanche is interesting, I moved on to the emergency fund of Step 3, but created two instead of one. A fund in case of job loss AND one for life’s mishaps. Debt-free living is truly a game changer. I love the idea of 2 funds!!! Thanks for stopping by and commenting! I appreciate it a lot.